Setting the benchmark for mini excavators, the premium Kubota KX018-4 is engineered to handle the heaviest of loads in the tightest of places. With a roomy operator’s area, the Kubota KX018-4 is jam packed with features to increase productivity and comfort. 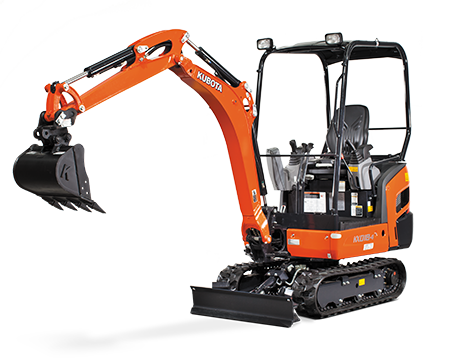 Powered by a reliable Kubota 17HP engine, experience powerful digging force and a wider working range than ever before. NOTE: Please abide by the safety decals or safety instructions factsheet that is provided with this Kubota 1.8t Mini Excavator.